The picture-postcard Illetas (or, Illetes) bay attracts a sophisticated, international crowd to its crystalline waters. Top beach clubs and hotels are stationed here and their privileged terraces take full advantage of the sea views. A focus on fish and seafood is one way these restaurants enhance the beach side experience, whether in fusion or traditional Spanish cuisine. In addition to the casual eateries and cafés, this tranquil neighbourhood also presents the perfect setting for an award-winning breakfast, luxurious lunch or a romantic dinner. 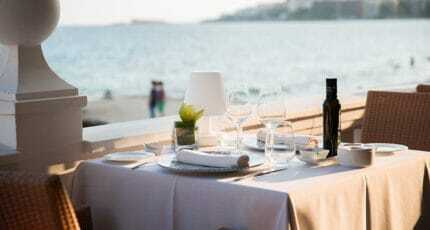 Unbeatable sea views and enticing fusion cuisine await you at this well-established beach club. Super food salads or seafood platters, a gourmet hamburger or the fresh catch of the day; their menu promises flavours from Marrakesh to Melbourne. 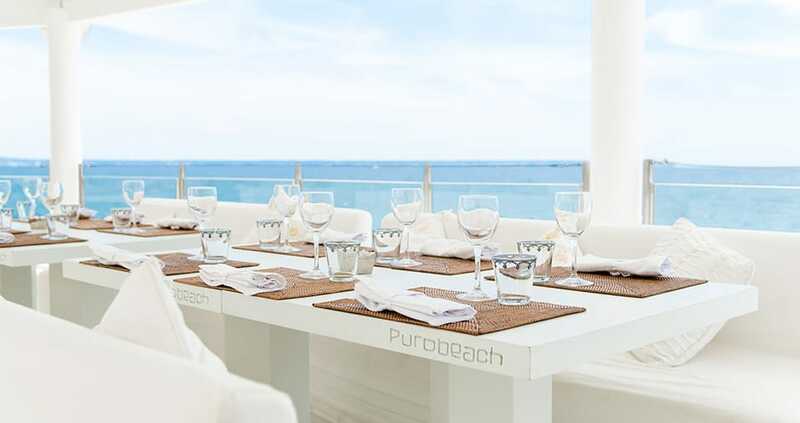 Specialists in the luxury beach club experience, Purobeach appeals to all the senses. 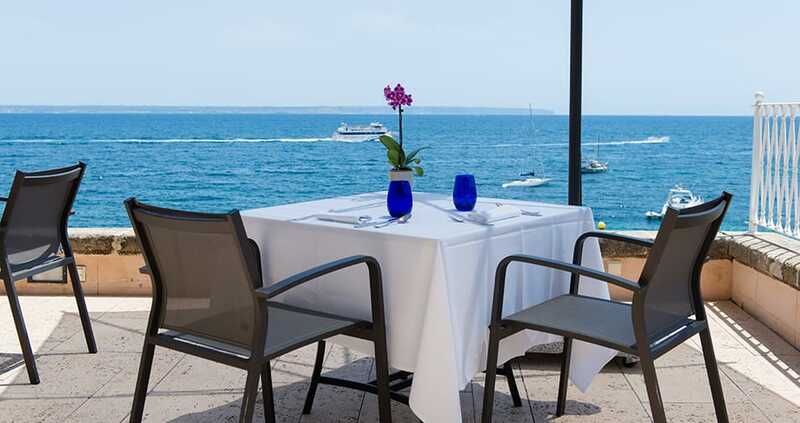 Situated in the 5-star Gran Meliá de Mar, this sea view restaurant offers a modern interpretation of Mallorcan cuisine by award-winning chef, Marga Coll. An exceptional tasting menu takes you on a gastronomic tour of the island, without you needing to leave your idyllically positioned seat. Taste an award-winning breakfast on the terrace of this beautiful former 16th century mansion. 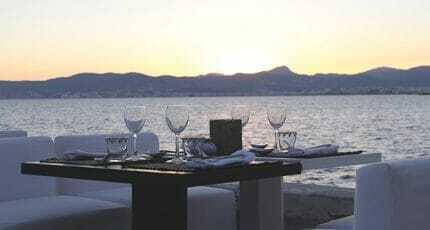 Located just beyond Illetes, this luxurious hotel takes full advantage of the stunning sea views. 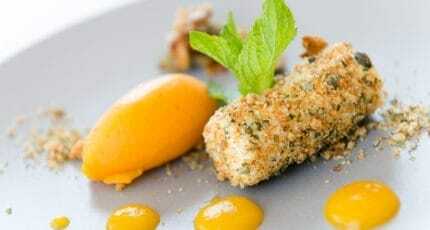 High quality, seasonal ingredients make up each exquisitely presented dish, ensuring a delicious and memorable meal. Dine to the sound of the sea at Hotel Nixe Palace‘s nautical themed restaurant, situated beside neighbouring Cala Major beach. A dinner here will be effortlessly romantic. Dedicated to high quality Mediterranean cuisine, they offer an extensive á la carte menu featuring fresh fish, seafood, rice dishes and tapas. Breathe in the sea air and aroma of freshly grilled fish from this beach club’s spacious terraces. A relaxed atmosphere prevails during the day, as an international crowd extend their seaside visit tucking into Mediterranean classics. In the evening, it’s the place to be, watching the sunset with a cocktail. A long-standing, traditional Spanish restaurant overlooking the bay. 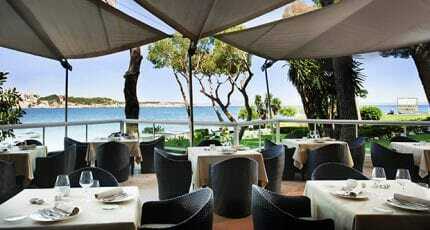 Their menu is dedicated to unpretentious, good quality Mediterranean gastronomy. On the menu you’ll find fish, seafood, local lamb and national meat dishes; their paella is also very popular. Enjoy the sea view from their terrace. Reservation is essential at this stylish adult-only restaurant at Hotel Riu Bonanza Playa. Their elegant four-course set dinner of fusion cuisine is served with both wine and cava, and includes vegetarian and gluten free options. The intimate dining area is set beside the pool gardens, with the sea in the distance. Illetes being a seasonal destination, many of these top venues close during the winter months. Some restaurants are reservation only, and certainly, if you’re dreaming of sea views make sure you book in advance for a truly memorable dining experience. 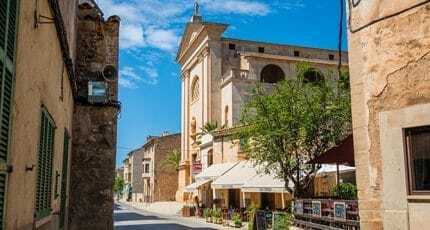 We hope you have found this article about the Illetas Restaurants useful and that you have many memorable stays in Mallorca as a result of our recommendations.